We begin with a layer of our amazing Granny's Pie Crust fragrance, we then whip up a second layer of our Banana Coconut Cream Pie. We garnish the top with wax vanilla waffers, a dollop of whip cream and spinkle it with chocolate and gold candy sprinkles. A favorite of many of our CBV customers. 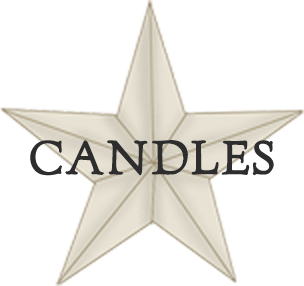 We have been busy creating a new line of candles for you to enjoy. 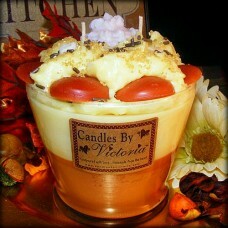 Poured up in our favorite Love, Victoria jar our new Love, Victoria Bake Shop line is just to cute!! With over 18 oz. 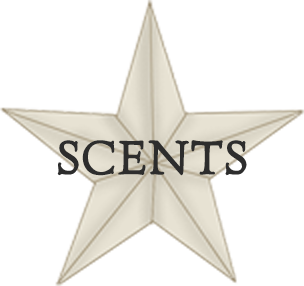 of scrumptious wax these candles will give you hours and hours of enjoyment!